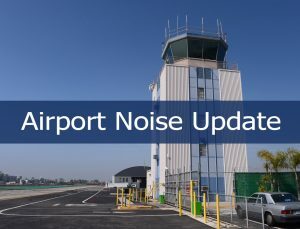 Recently, the City of Hawthorne has been receiving questions, concerns and, in some cases, complaints about noise arising from the use of the Airport. The staff has been considering ways in which the City and stakeholders can be more responsive to residents and neighbors who have concerns about airport noise and flight paths. Staff believes that the creation of a new standing committee (the KHHR Committee) can provide an open, transparent and organized forum in which the public can address their concerns. Adoption of Resolution No. 8038 would create the KHHR Committee. As outlined in the Resolution, the purpose of the KHHR Committee is to “provide an educational forum engaging representatives from communities affected by FAA established flight paths, pilots and flight operation managers as well as FAA representatives in conversations aimed at finding ways to reduce and mitigate noise impacts on the surrounding communities to the extent possible by pilots and the FAA laws and regulations. (17) the City of Los Angeles community of Harbor Gateway North (must be resident). If you would like to be the representative for the City of Redondo Beach, please email me.